The main case for HS2 is that more capacity is needed. The arguments against are mostly being presented by NIMBYs with a very personal interest. Ultimately, whether or not this scheme or any other is value for money must depend on the external value it generates. Land value uplift is probably the best measure of the broader benefits of any infrastructure, although the shortage of data makes it difficult to make reliable forecasts; it came as a surprise when a study commissioned for Transport for London discovered that the Jubilee Line Extension had generated an aggregate increase in land value amounting to three times the construction cost. Nevertheless, enough is known about the influence of railway infrastructure on land value to help decide whether HS2 is a worthwhile project. 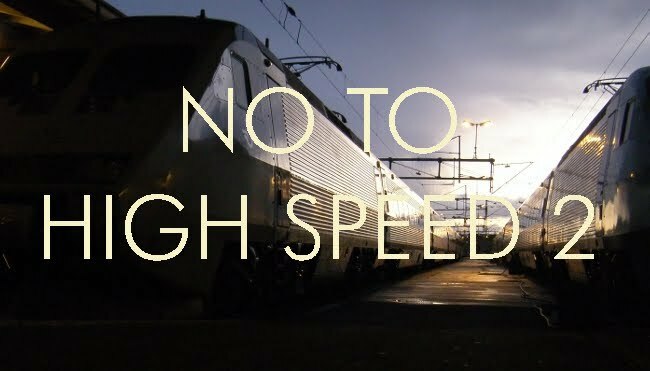 The high speed line needs to be evaluated on this basis against other possible schemes. The most obvious would be a conventional 125 mph railway on a similar Great Western/Great Central alignment, but another alternative would be a 125mph railway designed to take double-stack high-cube container trains and 3.5 metre wide passenger trains such as Bombardier’s Gröna Tåget, which has 25% more capacity in a given length of train. There is also a need to decide whether HS2 is value-for-money in comparison to an alternative bundle of schemes, which would include the East-West route, together with a select package of small to medium sized projects and electrification infilling, spread across the country. We still need a genuine and informed debate. "We need to keep up" is a poor response to "not in my back yard".